We invite you to come and join us. We are looking forward to being blessed by Karl Martin's ministry and knowing God's presence in worship and prayer. No matter where you're at in relation to God, the call to awakening goes out to all. God has been moving powerfully in our land, but we know there is so much more. We recognize His call to be awakened to a greater revelation of who He is and who we are in Him. If you are aged 12-18 and you have a desire to know more of God than you have known before this conference is for you! 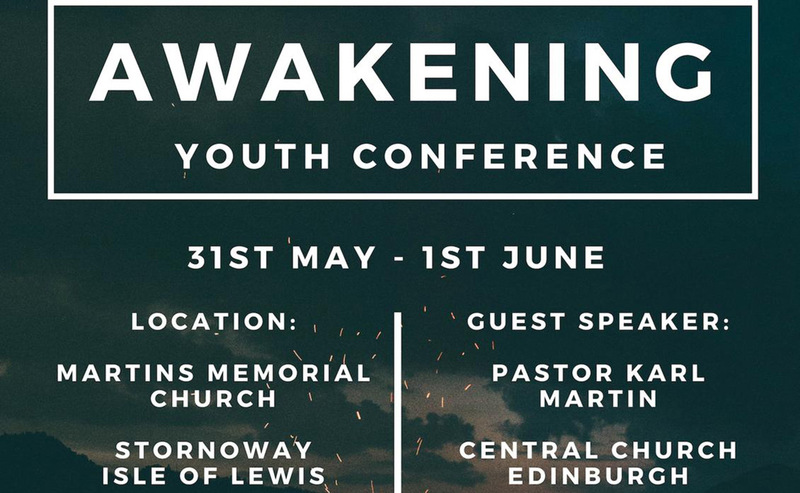 Book your place from February 1st on Awakening Youth Conference website. If you book before April 1st you save £5 with a price of £15 for the weekend! Bookings after this date will be £20. The conference is open to young people aged 12-18. Youth leaders are welcome to attend free of charge.